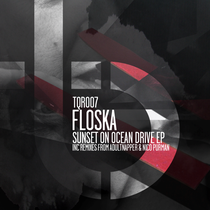 Rising imprint Turquoise Blue push forward with its seventh release this July, a seven-track collection entitled ‘Sunset On Ocean Drive’ by Floska, backed with remixes from electronica experimentalist Adultnapper and Argentina’s Nico Purman. 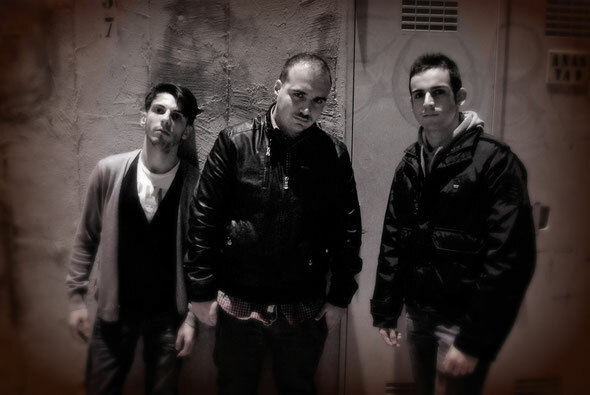 Opening with title track, ‘Sunset On Ocean Drive’, the Italian trio delve deep in to creative production techniques, constantly altering the delay time and direction on the metallic sounding synth hook, resulting in new dimensions of melodic atmosphere. ‘Lose My Mind’ angles-in to darker domains with hazy reverberated synth stabs and an obscure background vocal murmur that subtly plays off the melodic changes to maintain an ever evolving interest for the listener. Crosstown Rebels artist Nico Purman steps in to remix ‘Lose My Mind’, upping the energy levels and working in his signature disco house twist, short sharp stabs motivate the movement while a nagging electronic bass slips in to the groove to further fuel its dance floor appeal. ‘Inside The Storm’ is a fitting name for such a moody track, tight-knit drum programming runs alongside a chunky bass, driving the track for several minutes. The composition then moves in to a dream state as such for the breakdown with ethereal bells that emanate harmonics. Francis Harris aka Adultnapper takes ‘Inside The Storm’ on a deeper excavation. The American producer revamps the layers with his own swung drum pattern, heavily processed synth flourishes, guitar licks and improvised electric piano riffs. The remix is a hypnotizing slice of electronica and demonstrates Harris’ musical know-how from composing soundtrack scores over the past few years. ‘Drive Me In The Dark’ again employs the groups brooding basslines, vocal drones and skipping claps to create a trippy intense cut, while ‘Dorsmachine’ closes the release on a different vibe entirely, demonstrating Floska’s versatility in style. The producers opt for a more playful bright edge, stripping back what seems to be the more prominent elements in their productions to focus on the drum parts and sharp resonant low-end hits as the driving force. Out 2nd July.